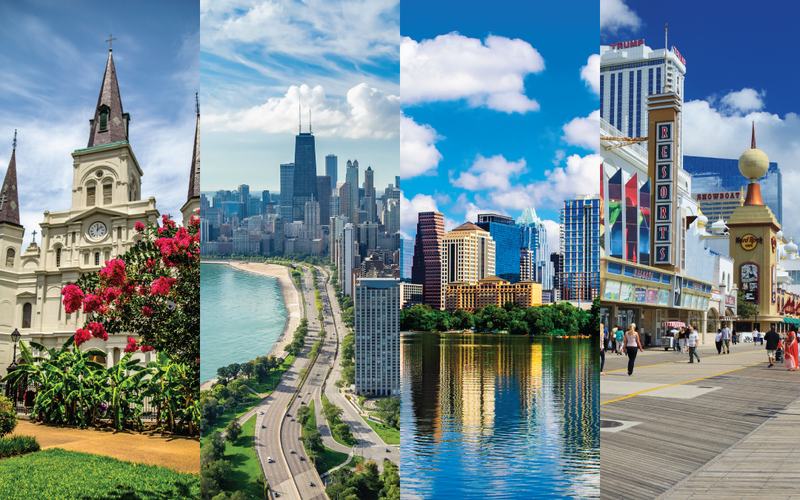 ARTBA Regional Meetings Set for Late Oct.-Early Nov.
ARTBA’s four annual regional meetings this fall have been expanded to include additional networking opportunities and content developed by the Industry Leader Development Council (ILDC), pursuant to the direction approved by the ARTBA Board last fall. ILDP Chair Ponch Frank, of Ranger Construction; Vice Chair Jihane Fazio of AECOM, and four regional chairs and four regional vice chairs planned the regional meeting agendas earlier this year. For more information about this year’s events, contact ARTBA’s Brie Johnson.